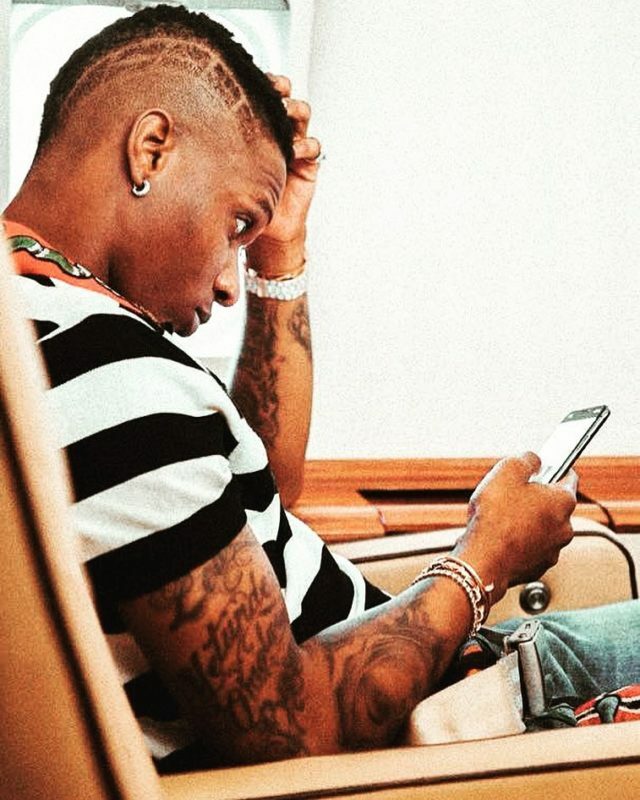 Star boy Wizkid has reacted to the current situation in his home country Nigeria. Pop star Ayodeji Balogun who is currently in London is saddened by the political tension in Ekiti State. 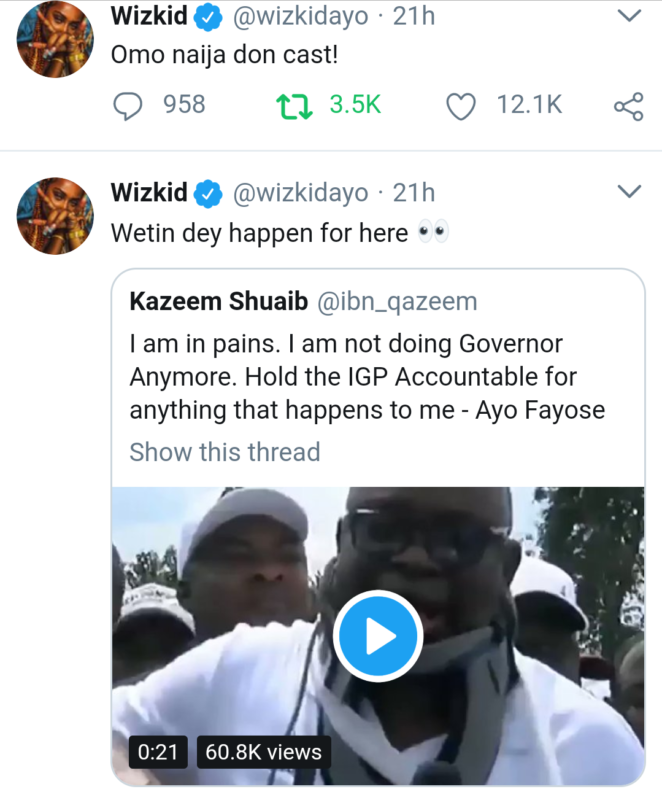 The “Oguelegba” hit maker reacted to a viral video on Twitter where the Governor of Ekiti State Ayo Fayose was teargassed and manhandled by the Police. Wizkid in a tweet said “Omo Naija don cast” which means things are getting out of control or heading for the worse. Here are his tweets on the situation.